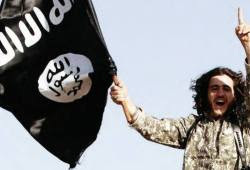 In the past two days alone, it was revealed that a former IDF soldier went to join the Islamic State in Syria, and an older Palestinian woman was detained for suspected involvement with the Islamic Movement. A Muslim Arab citizen of Israel who served as a soldier in the IDF had gone to join Islamic State (ISIS), reports indicated on Thursday. The soldier, 25, was a resident of one of the northern Arab villages, and he was scheduled to end his IDF service in January 2014, according to Walla News. It is believed that he went to Turkey, and from there continued on to Syria. A day earlier, Times of Israel reported, police detained a 64-year-old female Jerusalem resident for suspected affiliation with the northern branch of the Islamic Movement, which was outlawed in November. Israel’s security cabinet say the movement, similar to ISIS and Hamas, is responsible for anti-Israel incitement and, in part, for the current wave of Palestinian terror throughout the country. The woman, Zeinat Jilad, from the eastern Jerusalem Palestinian neighborhood of Isawiyah, is an activist in the all-female Murabitat group, known for its loud and often violent opposition to non-Muslims, especially Jews, visiting the Temple Mount in the Old City. Acting upon the recommendation of the Shin Bet (Israel’s Security Agency), Defense Minister Moshe Ya’alon in September signed an order outlawing the Murabitoun (for men) and Murabitat (for women), the Hamas-affiliated Muslim organizations that plan anti-Jewish provocations on the Temple Mount. A significant percentage of Muslim Arabs in Israel are identifying with radical Islamic organizations. According to a poll taken in November, 18 percent of Muslim Arab Israelis do not consider ISIS to be a terrorist organization and are not opposed to its ideology. A whopping 57 percent believe that the Islamic Movement represents their views, and half say they are either supporters or active members. Want to do something important for Israel? Make a donationto help fight against Palestinian incitement and terror. Now more than ever, Israel needs your help to fight the battle of public opinion. Israel’s enemies are using social media to incite brutal terror against innocent civilians. You can help to remove Facebook pages and Youtube videos calling for the murder of Israelis. The People of Israel need your help to do even more! Support from true friends of Israel like you make this possible, so please show your supporttoday!